The landscape along the Lake Ontario shoreline-hugging roadway that stretches eastward to Orleans County – Route 18 – pretty much becomes desolate once you pass Olcott. And it only seems more desolate at four in the morning on the coldest day of the winter. Lyndonville’s distance from the center of the Niagara Wine Trail keeps me from making this journey as often as I’d like to, but on this morning there was no hesitation – it was Leonard Oakes Estate Winery’s annual ice wine harvest. As I made my way through an apple orchard to the first few rows of grapevines in the dark of night, there wasn’t much that would indicate that this was one of the most important days of the year for winemaker Jonathan Oakes, who had been waiting for this day since bud break. “I don’t feel relaxed until these grapes are off and we’re in with a long enough window to press it out and work with it,” said Oakes. It was only after hearing the low rumbling tractor noise and following the faint glimmer of headlights at the opposite end of the pitch-black vineyard that I found the winemaker surrounded by a few winery staff and an army of volunteers. “Can you see the look of relief in my face?” asked Oakes. While many wineries have already celebrated the end of harvest with toasts and parties, a few Niagara region wineries don’t consider the season to be over until their vats are full of ultra-sweet vidal blanc juice. With this winter’s unusually mild temperatures, the thought of a normal ice wine harvest seemed like wishful thinking. Yet Oakes reassured me that the weather window we were in was perfect, even going as far as to state that this was the easiest winter harvest for the winery since they started. The lack of snow accumulation in the vineyard made getting the tractors, equipment and people in easier and the huge amount of support they received from volunteers enabled them to get the grapes off the vine in record time. “During the last couple of harvests, the idea of ice wine was new to our area and it was difficult to recruit people that would be willing to get out there and help,” said Oakes. This year things were different. “All the recent accolades and buzz about our ice wine has really helped to secure people that want to come out and participate,” he said. It’s this excitement and interest, combined with the fact that the Niagara region has already proven it can consistently produce some of the world’s best ice wine, that leads Oakes to believe that the industry has a strong future in his backyard. “I look at the amount of plantable acres we have left, with a grape variety like vidal that can grow in a little more severe conditions, and I think there’s just unlimited potential in our area,” said Oakes. Even in mild winters like this one. Mother Nature ends up delivering what local winemakers need. And while Niagara is certainly not the only region to produce this style of wine, it does benefit from the success of Ontario’s ice wine industry. Niagara USA needs only to look at their example across the river on how to distinguish itself from the rest. “It’s going to rely heavily on who jumps out and makes a distinct claim as to what is what our region can be known for,” said Oakes. Regional branding aside, it’s in the post-harvest moment where I’m standing around with the rest of the crew warming up appropriately enough with a glass of Canadian whisky celebrating an end to a frigid end of the season harvest where I get a feeling of how special ice wine is to have gotten so many people to brave the elements just to take part in its production. As daylight broke leaving Lyndonville, my journey back home was not as isolated as the trip there. I noticed a few carloads of vineyard workers following me back to Burt, NY where Schulze Vineyards & Winery had just begun their own harvest. I'm happy to see that the NYCR selections for Finger Lakes red wines of the year have generated a fair amount of feedback and debate. There have been many questions: Why no cabernet franc? How come every wine is made from a different grape? Keep in mind that for a wine to be eligible, it has to have been released in 2011. Many of the red wines released in 2011 came from the uneven 2009 vintage. The glorious 2009 September produced strong conditions for Finger Lakes pinot noir, but otherwise, it was a down vintage for reds. Some of the wines released in 2011 were from 2008, a solid-if-not-spectacular vintage. Very few of the 2010s have been released yet. If the vintage conditions and barrel tastings are any indication, they will be very good. Continued exploration and experimentation with red grape varieties in the Finger Lakes should be welcomed and celebrated. Unlike riesling, the clear viticultural star of the region, there is no clear dominant red variety. That does not mean that red varieties can't thrive. In fact, it means that with some hard work and inquiry, a range of red varieties can make impressive wines. Each wine on the list comes with further confirmation of this idea. I confess that, having tasted the bottled 2009 and the still-in-barrel 2010, I am even more excited about the newer vintage. But that should not prevent anyone from checking out this wine. Winemaker Nancy Irelan has a long background in research, and without divulging the secrets she's trying to keep under wraps in her lab, it's fair to say that she has even more ideas for cool-climate red grapes. Teroldgeo was one of her first experiments. It is paying off. The first vintage of teroldego came in 2008, and Irelan took the grapes from those young vines and turned them into an unusual red sparkler. That rapidly gained a following, but I'm glad that Irelan has not diverted from her plan of making a still teroldego. The grape provides nice acidity but also a backbone of chewy tannins. The flavors are unusual, and it's already showing signs of complexity. Teroldego is grown primarily in northeastern Italy. Want to get really geeky? It's also grown in parts of California, where it's occasionally compared to zinfandel. That's probably because there is an inherent spice to the grape, which is related to the dureza grape, the father of syrah. See, don't you want to see what else Irelan will try? This grape variety continues its slow but steady accumulation of fans in the Finger Lakes. You say lemberger, I say blaufrankisch, but whatever: Rooster Hill has turned out a very nice version. Some winemakers are choosing to blend lemberger with cabernet franc, aiming for a complex blend of flavors and aromatics. I understand that, but I also enjoy seeing what blaufrankisch can do as a varietal. The first time I tasted this wine with Rooster HIll owner Amy Hoffman, she was obviously excited about it. And yet she patiently waited to bring it to market, confident that the wine's makeup will allow a long life. I think she made the right call. Is there too much oak? For me, no. But watch for the oak influence in other lembergers or blaufrankisches, which can be sensitive to wood. Saperavi and Sereksiya Charni. Those two grapes alone make this wine interesting. Here's a wine with a celebrated history, an intensely devoted following, and yet owner John McGregor decided to do something he'd never done before: He held half the vintage back, keeping it in barrel for a full year longer than most vintages. What's the result? Thanks to a powerhouse vintage, the wine stands up very well. I go back and forth on the need to decant wines - and for how long - but certainly I would not hesitate to give this wine some air before drinking it. It's unique, and it has the structure to age with grace. The McGregor family proves it with annual verticals and library tastings. This is one of the most expensive wines in the Finger Lakes, and yet it has no trouble selling. Syrah is occasionally misunderstood as a warm-climate variety. Its history shows a grape highly adaptable to its climate; it can produce some big, powerful wines in California, and its sweet spot in Cote-Rotie is much cooler. Neither of those regions is as cool as the Finger Lakes, but a group of winemakers is giving this variety an extended shot to succeed. No one knew the success would come so soon. Damiani is understandably proud of their version, as are a handful of others, including Lucas and Red Newt Cellars. But the Billsboro version is the most intriguing yet. We should have seen it coming. Syrah needs time to ripen, and 2009 simply didn't provide the growing season that a winemaker wants. And yet Vinny Aliperti's '09 Syrah was relatively prodigious. He couldn't explain it, other than to credit the Seneca Lake growers: Sawmill Creek Vineyards, where Billsboro sources its fruit. So if he could produce that kind of syrah in 2009, it's not a surprise that 2010 finds a truly broad-shouldered, layered version that could attract the admiration of syrah lovers. Our own Mark Grimaldi was floored by this wine. And if you know Mark, you know that he has very tough standards. By now, we know that the Finger Lakes is capable of outstanding pinot noir. We also know that this is not easily achieved, and is being produced by only a small group of wineries. Winemaker Morten Hallgren drinks a lot of Burgundy and has a deep appreciation for the cool-climate style for this grape. That does not mean he's trying to recreate France in the Finger Lakes. That does mean, however, that he's aiming for elegance. The 2005 Ravines Pinot Noir is one of the great examples of what the region is capable of. Hallgren expects the 2009 to stand alongside it. I think that's possible. My Finger Lakes-focused colleague Evan Dawson and I sometimes lament what sometimes happens to Finger Lakes riesling when it's fermented dry. Depending on the fruit and the winemaker, the wines can become shrill, hollow and overly austere. Casually, we refer to them as "lemon water riesling." It seems though that dry rieslings from longer and/or warmer growing seasons -- like the long 2010 one -- tend to avoid this problem more often. Billsboro Winery 2010 Dry Riesling ($16) is an fine example of that. Made from fruit grown at Sawmill Creek Vineyards, it has expressive, pretty aromas of river rock, lime and citrus blossom. Driven by minerally, rocky flavors, the lithe body also delivers lime, kumquat and grapefruit citrus character with a bit of green apple. Staying just this side of austere, its dry (.3% rs) with a focusing beam of acidity and a medium-long, mouth-watering finish that shows hints of flint. C’est Cheese in Port Jefferson, NY taking a unique approach that may prove to establish itself as a destination point for cheese lovers out on Long Island. Walking in, the cheese counter is at the front of the store off to the right. The cheese looks well cared for, offering a variety of milks and styles from across the globe. On my recent visit, the American section was pretty limited in comparison to the rest of the case. I hope that they expand their selection to incorporate some of the great American-made cheeses that are made not only in the Northeast, but the rest of the country. In looking at the rest of the place in comparison to the cheese case, I can see that the focus goes well beyond a simple retail cut-and-wrap shop. Want to come in to taste and buy some cheese to take home? Perfect. They have cheesemongers there ready to serve, offer suggestions, and answer your cheese-related questions. Curious about cheese and beverage pairings? C’est Cheese has several taps with local beer, as well as wine available. Have them pull a pint for you, or pour a glass, and enjoy it with your custom created cheese plate. I really like the focus of C’est Cheese. There are a variety of ways to highlight the diverse qualities of cheese, and lovers of cheese have a chance to explore this from a variety of angles. 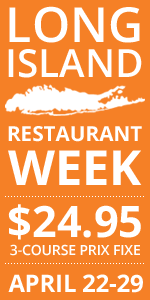 Whether through beverage pairings, incorporated into a dish, or straight from the case, this shop in Port Jefferson is on the right track. I look forward to visiting again in a few months to see how this shop is fully realized. Over a relatively short period of time, Heart & Hands Wine Company has almost become synonymous with New York pinot noir. There are other wineries making good versions of course, but on a consistent basis, there isn't a producer I can recommend more for pinot. Co-owner and winemaker Tom Higgins carefully sources fruit from dependable growers and his passion for the grape manifests itself in meticulous cellar work. Heart & Hands Wine Company 2009 Pinot Noir ($20) -- which is closed under Vino-Seal by the way -- offers aromas of red cherries and cranberries sprinkled with brown spice, star anise and a bit of black pepper. Light bodied -- there isn't any syrah in this pinot -- the palate is juicy with red fruit flavors and layers of toasty oak, spice and tea leaf. Fresh acidity and well-incorporate, soft tannins bring structure and lengthen the finish. When you visit a winery's website, you're probably there for one simple reason. Either you want tasting room hours or the wine list or the winemaker's story. But whatever it is, you want it quickly and easily. And too often, it's not easy enough to find what you're seeking. On top of that, the websites look clunky and amateurish. This is a generalization, of course. Some websites are excellent. Too many are not. But don't take it from me. Here's an email I received this week from a reader of my book, Summer in a Glass. This reader lives several states away. I've re-printed the email in full, and I welcome your thoughts on what makes for a high-quality and low-quality website. First of all, thank you for writing this book. Though we currently live in Wisconsin, my wife and I are physicians originally from upstate NY. We've recently decided to move back to CNY (Canandaigua) to start our own adventure, and this book has made us proud and excited to move back! Like many, my wife and I made the rounds on various wineries websites after reading your book, and I wanted to comment on something I bet you've noticed, and could help with! Many of the websites are, well, a bit difficult to navigate. Like the vintners you describe, the websites are not flamboyant or ostentatious. That's fine as a character trait, but perhaps not so good for marketing. Specifically, we noticed that many photos are casual (amateur? ), and don't do justice to the scenery or the establishment. I left some websites with an overall impression that I can't get engaged with the wine or the winery. That's frustrating, and I'm sure a ton of folks are visiting those sites after or as they read your book, and I bet many others left the sites feeling a bit disappointed. For instance, if I decided to plan a trip to the Finger Lakes, I'd hit these websites hard to get organized. So in that scenario, I think the website design could become sort of crucial for the wineries, right? We thought Weimer's website was really good. The designer looks like he's a computer science grad from Cornell (my alma mater). I was thinking that between your wife working as a professional photographer and perhaps with your mutual contacts in the web design/photography business, you could help link some of the wineries with eager folks to help improve the websites. I don't know, I'm sure these wineries will do very well thanks to your book, but I felt compelled to contact you anyway! Sparkling riesling isn't new in the Finger Lakes. A handful of wineries have been making it for years and a couple years ago, one even won the Governor's Cup. Last fall, Atwater Estate Vineyards became the latest winery to make sparkling riesling, adding Riesling Bubble to its portfolio. Off-dry and force-carbonated, it also features modern packaging that definitely stands out on a store shelf (my picture doesn't do it justice) and is closed with a crown cap rather than a cork. A fruity nose shows ripe peach, candied green apple and hints of mint syrup. Soft carbonation and crisp acidity make this fun, fruity sparkler seem almost dry. Short on the finish. In a town steeped in tradition, there’s something decidedly new – and young – happening on the culinary front. Husband and wife team Chris Grilli and Katie Brennan, ages 28 and 26 respectively, purchased the decades-old establishment on Jordan Street in July of 2011, and have since been putting a modern spin on a classic repertoire. Skaneateles Bakery has been in operation since 1959 and despite having changed owners a few times, still feels as authentic as it had when it first opened. The original recipes are still in use, from donuts and cinnamon rolls to generously-sized cookies and scones, and a few of the staff members stuck with the establishment through the change in ownership. From the looks of it, many hands are needed to produce the amount of food they do. Not only do they pile their counter high with baked goods – Those scones! More on that later. – they also offer sandwiches on house-baked bread and soups, “made from scratch,” she said proudly. The biggest seller on the savory menu is a turkey sandwich with chipotle, avocado and applewood-smoked bacon. In terms of plain numbers, though, nothing comes close to the donuts. If donuts can be grouped into genres, these would be vehemently old-school. No bigger than a tight fist and freshly made every morning, they taste of real sugar and cinnamon, a far cry from their mass-produced counterparts. They get snatched up by the bagful by hungry customers at Christmas time, when actors bring characters from A Christmas Carol to life at the annual Dickens of a Christmas festival. “But lots of people also buy food and walk it across the street to the water,” Brennan acknowledges. “Summer is really busy.” She took what sounded like a deep breath of relief. “Summer was really busy.” The bakery’s location in the heart of the village, directly across from Doug’s Fish Fry, makes for high traffic on weekday mornings and lazy weekend afternoons alike. The newlyweds purchased the establishment from Sam Mason, original recipes and all, if not on a whim, then definitely with a prayer. Neither Brennan or Grilli had worked in the restaurant industry, Brennan said in a phone interview. And even more frightening, neither had owned a business. She was working with an interior designer (she now works full-time at the bakery) and her husband was a schoolteacher. “But it was always something I toyed with,” she said. “One of the things I love about baking is that it allows me to be creative. I always thought ‘wouldn’t it be neat to own a bakery?’” Brennan’s father, settled in Moravia, thought so too. He felt a strong connection to Skaneateles Bakery, and passed that onto his daughter before he passed away. “Chris and I moved back to the area [from Boston] in 2010, and I kept a pulse on everything around me.” When the listing went public, they didn’t hesitate. I visited with my boyfriend this past Sunday for lunch and a look around. An egg, cheese and bacon sandwich had character – no freakishly uniform eggs here – and a goat cheese salad came with healthy-looking red leaf lettuce lightly dressed in homemade vinaigrette. Café Kubal, a Syracuse-based roaster, provides the beans for coffee, and a variety of freshly-packed teas are available (The Earl Grey is excellent; a heady hit of bergamot.) The real kicker was the scone we ordered, studded with chunks of chewy dried apricot and with a distinct buttermilk biscuit-like texture. It was topped with a cautious drizzle of sugar glaze and was so good that we ordered another on our way out. They already work with a handful of local farmers, growers and vendors, including Wake Robin Farm of Jordan, who provides the yogurt for their parfaits. When the weather warms up, Brennan has big plans to source local animal protein more fresh produce to round out their menu. “We support the community as much as we can because they really support us,” she said. So they get the local and organic thing, which is undeniably important. But what I like best is the sense of whimsy and charm about the place. The menu is written on a chalkboard, with a gray, smudgy spot in the left-hand corner where a “Word of the Day” and its definition get written and erased again and again. The baked goods and sandwiches, if eaten in, are handed to customers in small wicker baskets and the employees’ feathers never seem too ruffled to chat. The menu is clever too – I spied a homemade Pop Tart, its belly swollen with homemade raspberry jam – and swooned. This is joyful food. She loves what she’s doing, too, and so does Skaneateles. In a town that can be tough to please, Brennan is having no problem becoming part of the fabric. The cupcakes, cookies and muffins that made the bakery famous will continue to shine while taking on a personality of their own. And that is what’s really sweet. 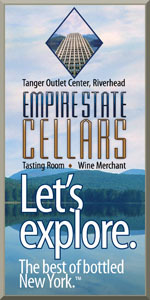 The organizers of TasteCamp are proud to announce that after exploring the regions of Long Island, the Finger Lakes and Niagara (U.S. and Canada), the event will hold its fourth edition in Northern Virginia wine country on May 4-6, 2012. Several important partners and sponsors have confirmed their participation and are working together to create an exceptional opportunity to discover the very best that Virginia wine has to offer. Tarara Winery is located in the foothills of the Catoctin Mountains on 475 acres along the Potomac River in Leesburg. One of Loudoun County's oldest wineries, Tarara focuses on single-vineyard wines. This weekend we opened a pair of viogniers from a California winemaker uniquely devoted to the grape. I had a chance to talk to Morgan Clendenen at length about her work, and I can tell you that her wines match her rhetoric. She knows what she likes, and she knows how to deliver it. Clendenen feels that viognier can be spellbinding, but it can also easily become fat and hot. She loves a carefully made wine from Condrieu, the grape's ancestral home in the Northern Rhone, but she doesn't give a region-wide pass. She wants acidity in her viognier, and she watches closely during harvest to make sure the grapes' acidity levels don't crash. The results are beautiful. I've had a decent range of viognier from California and now Virginia, and I almost always prefer the stainless steel versions over the oaked versions. That's probably because the winemakers employing new oak also tend to seek super-ripeness and -- there it is again -- low acidity. The Cold Heaven line of wines from Santa Barbara County demonstrates that wood can be gentle and integrated, and a wine with richness and depth can also be crisp and cutting. These are good, unique wines, and while they're not made in large quantities, they're findable. And they're worth finding. In my mind a best-case scenario for any liquor store visit includes finding a dusty forgotten bottle from an obscure producer labeled with a vintage that most assume is well past its peak. This bottle of 1998 Cabernet Sauvignon from Le Riche fits this description perfectly. A quick check of its cellar tracker page sealed the deal that the sale price of $22 the store was asking was well worth the investment. Without an extensive cellar that needs organizing I get the most use out of this site by searching markdown and clearance wines. After some dried cork wrangling the wine opened up with elegant aromas of currant and dried cherries with some more mature notes of leather and tobacco. I couldn't imagine this wine being any better on the palate thanks to its soft tannins and delicate balance of still vibrant acidity. I don't think I'll ever stop getting excited about wines like this. I'm lucky to have several friends who are not only beer/wine/cider/spirits geeks, but also brew or make their own at home. My colleague Mark Grimaldi and his wife Olivia have been making cider from apples -- by crushing them, not via purchased juice -- for a few years now for their own consumption under the "Sheamaldi Farms" label (Olivia's maiden name is Shea). Mark shared a couple bottles with me a while back and I stumbled upon them in my wine cellar recently. I'm not a big cider guy, but I can recognize well-made cider when I taste it -- particularly after a failed attempt at making it myself a couple years ago. Drier than I expected, this blend of 70% Ida Red and 30% Golden Delicious apples, all grown in the Finger Lakes, isn't complex or funky like some ciders I've had, but it also doesn't have the bitter tannins I've experienced as well. It didn't last long in my glass. It was easy drinking and refreshing -- which is just what I'm looking for when I turn to cider. I've been hunting you down for a while. At times, I've beat the brush with muscle-tearing ferocity to ferret you out. I've exhausted myself to the point of frustration and ceased to believe you actually existed. Snipe hunting, you ask? No. Bourbon hunting. Black Maple Hill is a legend in the whiskey world. Stories of its production by an eccentric distiller in the backwoods of Kentucky are ubiquitous. Small batch, handmade, heavenly, the usual stuff. But as the spirits buyer for our restaurant group, I couldn't get my hands on the stuff for years. Out of stock, switched distributors, slipped into the ether, ya da ya da ya da. It went on and on. At one point, I would have traded a T206 Honus Wagner baseball card just to get me a bottle. The more I couldn't find it, the more I wanted it. On a fluke last week, a fleeting whim, a strange email was sent to me (but actually labelled, "Dear Frank"), I got some. Four bottles arrived at our establishment, and I quickly bought one and ferreted it home in my bag. I felt like I was carrying the Holy Grail with drooling, sword-carrying maniacs hot on my tail. I nearly pinched myself when I was peeling back its wax-dipped layer. The anticipation was great. Notes of vanilla, baking spice, butterscotch and oak rose from my glass. For a 95 proof spirit, it drinks ridiculously smooth but NEEDS that ice cube to provide just the proper dilution. My favorite things about is the mouthfeel. Rolling it over the tongue is akin to sitting down to a plate of syrup-drenched waffles where the syrup and the butter have mixed together. Its a viscous, oily, hypnotic elixir. Was it worth the hype? Man, I'd love to say it was...but things rarely live up to our expectations after years of hyperbole. In fact, my favorite Bourbon of 2011 was from Breuckelen Distilling. But if you're a whiskey fan and see you see the BMH on the shelf, snag it! Trust me, it won't be there long.